I either had the choice to start it in New York or start it in Canada and I decided Toronto because the city was starting to become a technology hub. I wanted to add more to the culture and value and ecosystem as opposed to taking it somewhere else – we just saw an opportunity that we could grow the community more by staying in Toronto. He and his co-founders rode that wave from 2007 to 2014, growing to four million downloads of its PC, Mac, iOS and Android games before selling the company. But Hamed wasn’t ready to hang up his entrepreneur hat. New ideas fermented and the city’s burgeoning startup community called to him, so he started again, this time a business called Plooto, built around sending and receiving business payments electronically. The company launched a beta version of the service at the beginning of 2015 and closed a funding round with Real Ventures in April. It’s a hyper speed version of the growth Hamed experienced with Vast. At the moment the eight-person team is based out of OneEleven, which is a 15,000 square foot startup development space in the downtown core, in the same building that hosts Google Canada’s operations. 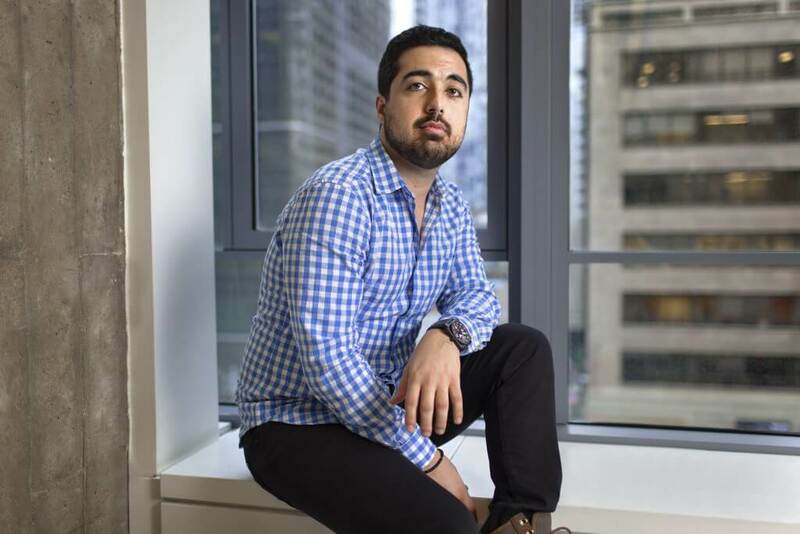 Hamed says OneEleven’s startup community has a unique buzz about it, one far removed from what he’s seen during frequent trips to San Francisco. Part of that, he explains, is due to the size of the city. While it’s big, it’s just not big enough to overlook the global viewpoint. The serial entrepreneur points out that as a new crop of startup founders exit their companies they’ve grown around the world and return to Toronto to start there new ones and inject some capital, the city is transitioning towards a startup ecosystem with a truly unique and outward view. When we were running our own company, we noticed there were no tools created to help small businesses run smoothly. If you were a small and medium-sized business (SMB), you were largely ignored. What this meant is that we were spending more time administering our business than chasing our passion. This felt wrong. We knew there had to be a better way of doing things. So our passion became helping SMBs avoid some of the challenges that our business had originally faced. That was the birth of Plooto.